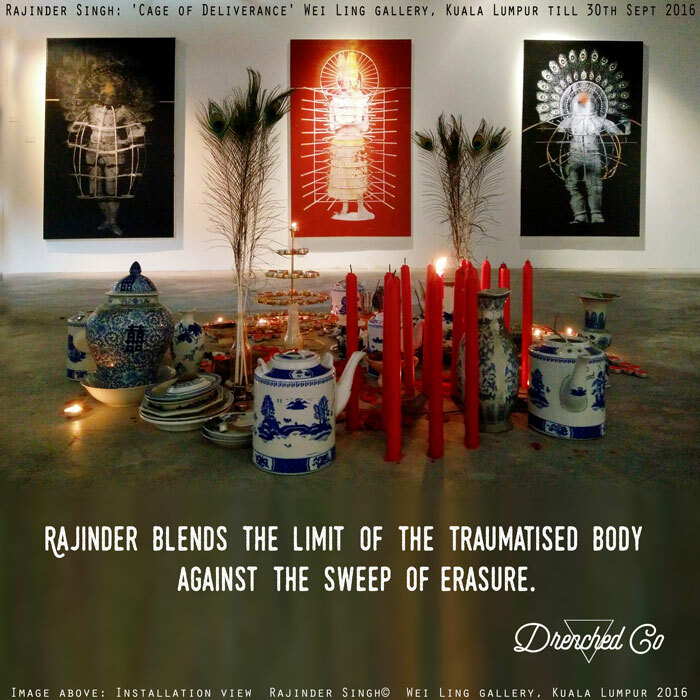 Wounds that Bind: Exhibition Review - Rajinder Singh: 'Cage of Deliverance' Wei Ling gallery, Kuala Lumpur till 30th September 2016. Exhibition Review - Rajinder Singh: 'Cage of Deliverance' Wei Ling gallery, Kuala Lumpur till 30th September 2016. “Rajinder blends the limit of the traumatised body against the sweep of erasure." Image courtesy of the artists and Wei Ling gallery, Kuala Lumpur.